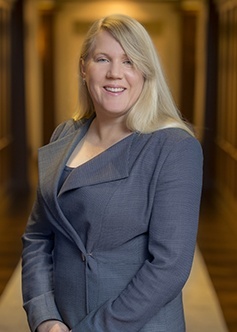 Katrina Judge is a member of the firm’s Employment section. Katrina brings to Kirton & McConkie and its clients seasoned multinational corporate and information technology business experience. Katrina advances the key global legal practice areas of banking, cybersecurity, data privacy and immigration that are powerful enablers for clients expanding their international reach. Katrina is well positioned to assist clients in global regulatory and compliance solutions. With a savvy leading focus on international banking, Katrina liaises with legal counsel around the world to assist clients in delivering optimal payment and banking solutions for the global business environment of today. Her experience includes delivering payment solutions for web-based systems operating in over 40 countries and extends to customizing bank agreements and complying with anti-money laundering legislation. Katrina specializes in integrating streamlined business solutions within local regulatory frameworks, maximizing business objectives while reducing legal risk. Coupled with payment and banking solutions, Katrina focuses on ensuring corporate clients are compliant with data privacy laws, including the General Data Protection Regulation of the European Union. Data privacy laws are maturing around the world in efforts to protect privacy with expensive and far-reaching penalties for data breaches. Katrina’s expertise assists corporate clients to complete required registration and documentation, reform employment and third-party contracts, improve cyber security and establish data breach management procedures. Katrina brings experience from every continent to provide clients corporate solutions that ensure compliance and reduce the significant risks associated with today’s fast moving global systems and personal data high-risk environment. Corporate competitive advantage is keenly driven in information technology markets and other business sectors by strategic resource management and global talent acquisition. Katrina facilitates legal counsel for all immigration matters to ensure timely and effective recruitment efforts deliver the right talent at the right time in full immigration compliance so that resources, spouses and families can navigate a seamless relocation. Strong compliance immigration solutions enable the employee to focus on what matters most in the office leaving the immigration work in the hands of legal counsel expertise. Queensland University of Technology, Australia, Bachelor of Business (Accountancy), B. Bus.